Donald Trump plans to spend his eternity in New Jersey, if the residents of the rural town of Bedminster will let him. 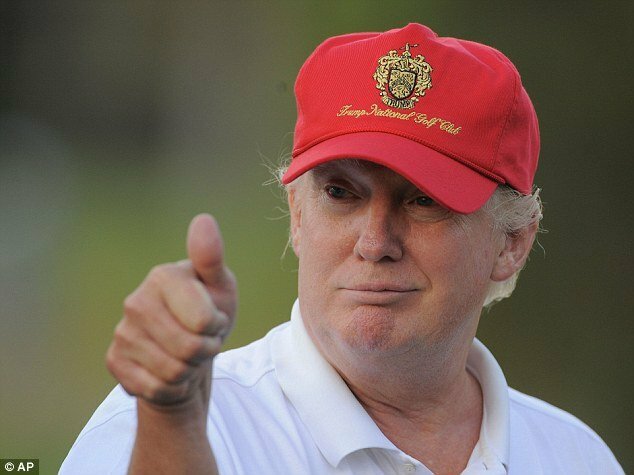 Donald Trump has decided to build a cemetery for himself, his family members, as well as lifetime members of his country club at his Trump National Golf Course in New Jersey’s Bedminster Township, according to the NJ.com. His plans include two cemetery lots, one containing 82 plots and the other containing 942 plots, that would cover nearly three acres of the 516-acre course. The Bedminster Township Committee, a board of local officials in the sprawling rural town, was scheduled to meet and discuss Donald Trump’s plans on Monday evening. The committee has previously rejected a former request from Trump to build a cemetery on his golf course. The denied request included a blueprint for a giant family mausoleum located at the course’s first hole, which could be seen from the road. The mausoleum would have included a 19-foot tall stone structure with four imposing obelisks surrounding its exteriors and a small altar with six vaults inside. Bedminster objected to the original plans, for fear that it would be too gaudy and out of taste with the town’s character, according to the Star-Ledger. “If he wants a mausoleum and he wants to do it for himself, and he wants to put that on the golf club proper, I don’t have a problem with that,” former town council member Sally Rubin told New Jersey Public Radio. Donald Trump’s attorneys insist that the new plans are tamer. If the plans are approved, members of the Trump National Golf Club – each of whom pays $200,000 to join and at least $20,000 in annual dues – will have the opportunity to be buried alongside the Donald. But why would Donald Trump want to be buried at Bedminster and not any of his other golf courses across the world? The New Jersey course has long been Donald Trump’s favorite and he has been trying for years to lure the U.S. open there. “I wanted to build this course to the absolute highest standards in golf,” Donald Trump said at a press conference at the course in May.